The fifth edition of the Festival des Vins de Bordeaux and Aquitaine be held October 31 and November 1 in Wuhan, capital of Hubei Province in China. This event, organized by the Agency for Promotion Food Aquitaine (AAPrA), the Gironde Chamber of Agriculture and the Aquitaine Region, will carry the label of the fiftieth anniversary of the Franco-Chinese diplomatic relations. 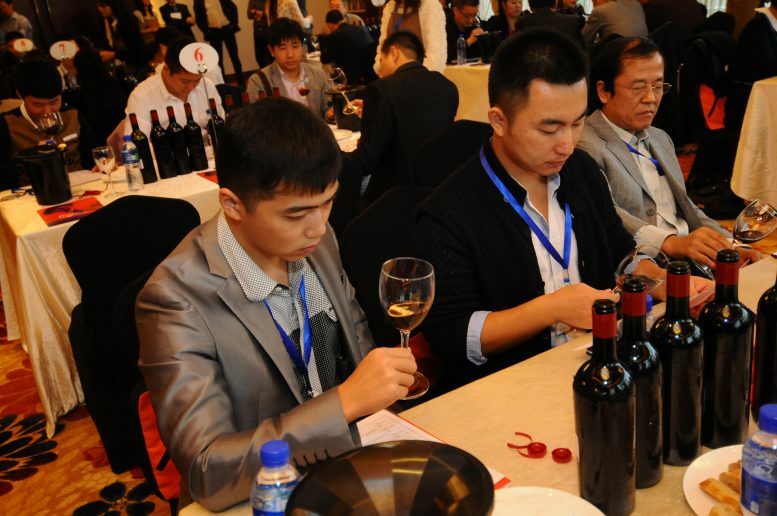 Become over the years a major event for professionals in the wine distribution center in China, the Bordeaux and Aquitaine Wine Festival annually brings together more than 2,000 participants (panelists, professionals, consumers initiated …) . Spread over two half-days, meetings buyers BtoB, organized by UBIFRANCE and AAPrA, allow 12 Aquitaine companies to showcase their wines at companies specializing in wine distribution in Central China. Discovering one’s knowledge, these are the objectives of these tasting sessions that win every year a great success. 5 aquitaine appellations will be presented: Bordeaux / Bordeaux Supérieur, Côtes de Bordeaux, Bordeaux Sweet, Sweet Bergerac and Armagnac. Discover the Best of Awards “Coup de Coeur” Trophies from October 31 to www.concours de bordeaux.com.